If you ever wondered what Gregor Townsend’s best XV looks like you should find out today, injuries aside, because Saturday’s match against Fiji is one the Scotland coach simply cannot afford to lose. South Africa have much of their menace back under Rassie Erasmus and “Super Mario” Ledesma has affected a similar transformation of Argentina. The Pumas lost the three summer Tests by an aggregate score of 97-37 but, under new management, they beat the Springboks in Mendoza and the Wallabies in the Gold Coast. Neither side will be a pushover in the coming weeks so Townsend needs a win on Saturday against a dangerous Fijian team that is ranked just four places below Scotland in tenth place. “They’re big boys,” said Sean Maitland who is obviously not itching for an argument. “I’ve played a few times in Europe and in the Premiership with [Vereniki] Goneva and [Josua] Tuisova and they are dangerous players one-on-one in space. You don’t want to give them too much. “It’s been all right against them. Tuisova is powerful, short and stocky. When you look at his highlights you don’t know if he’s going to step you or bump you, so I’ll probably just take second to last and leave Hoggy, err, whoever’s playing full-back, to take last man. 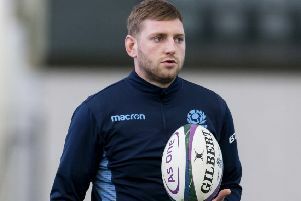 Maitland’s slip of the tongue suggests that Stuart Hogg will start at full-back on Saturday with the tried and trusted duo of Tommy Seymour and Maitland the favourites to fill the flanks. Greig Laidlaw and Finn Russell should start at halfback and Josh Strauss could feature in his first Test since June, 2017 when Scotland lost to... Fiji. It’s been an odd period for the Saracens winger because, for the first time in ages, he didn’t tour with Scotland in the summer. Instead Maitland enjoyed a proper break from the sport and then had all the benefits that come with full, pre-season conditioning. After two weekends of relaxation, thanks to Scotland playing outside the Test window, he is rested and raring to go. “It was a bit frustrating but a good couple of weeks, good to get amongst the boys,” he said. “I did not tour, had a great summer off, it was good to be around the boys again in St Andrews, it was a good craic and hopefully I am available this week and ready to go. “We play far too much rugby for sure, though in the Premiership they are coming up with new ways of combating that. 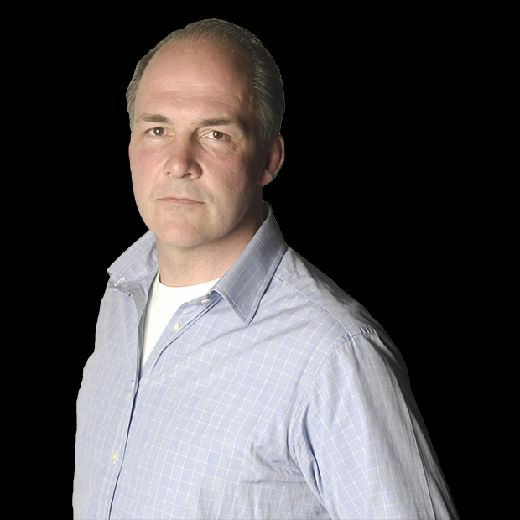 The RPA [Rugby Players’ Association] do a great job of looking after the players down there but in terms of the rugby, there is far too much. The last time Maitland played at BT Murrayfield Scotland lifted the Calcutta Cup, that performance setting the benchmark for this squad of players. The Kiwi may view next year’s World Cup in Japan as his Scotland swansong. He pays tribute to the younger kids on the block, Blair Kinghorn and Darcy Graham especially, who keep him on his toes. Pity there were not a few more to carry the torch because the back three is fast becoming a problem position for Scotland (hence Edinburgh signing the “project” Duhan van der Merwe) along with the back row. “Obviously when you come through the whole cycle of a World Cup it’s the pinnacle of our sport and for me I’m not looking too far past that,” said Maitland. “We take each game as it comes but I’d be lying if I said that if I didn’t get to the World Cup I’d be a happy man. “I say I’m 30, but I’m still feeling good. I’m still running fast, hopefully… these kids like Blair and Darcy are running rings sometimes around me but it’s good. Obviously you’ve got guys like Tommy [Seymour] around the same age but for me I still feel good and fresh. “The group is a good mix. Hopefully we can get John [Barclay] back to get the average age up a little bit, but we’ve got a few... let’s call them experienced players. “We have had a great week so far, it has been a tough few days so it will be good to get a day off tomorrow and recover. We are playing at home where our track record is pretty good.